In addition to my Paris Weekender blog, I am a contributor to the AngloInfo site for Paris & Île-de-France. 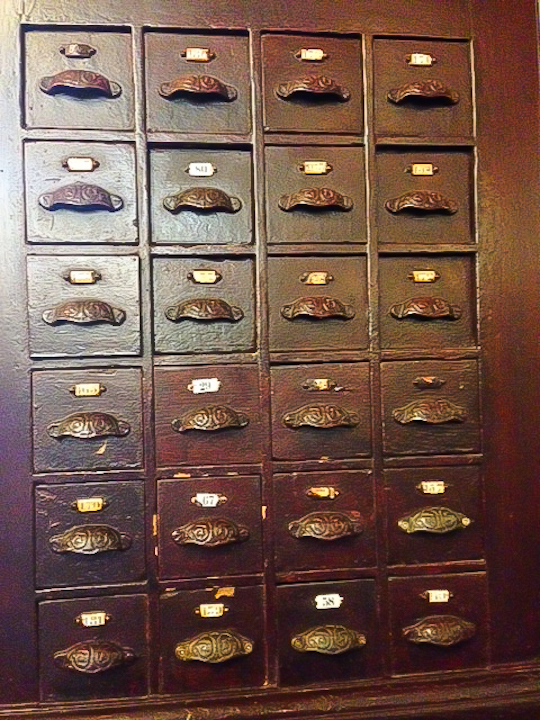 If you are not already familiar with AngloInfo, you should be! It’s a fantastic resource for expats everywhere. AngloInfo is active in over 100 regions and provides essential, practical information for English-speaking expats. The Paris site also has four bloggers who write for the site and who share their experiences with readers. Of course we all live our separate lives and adventures, meeting only “virtually” through our exchanges of blog post comments. So last month, we decided it was time to finally meet up in person! 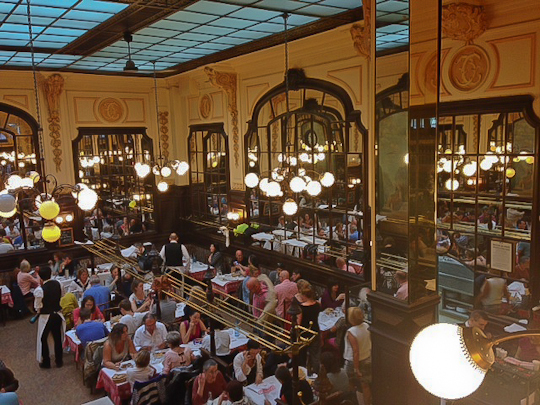 Karen, our fearless leader, planned a lunch at Bouillon Chartier, a culinary institution in the 9th arrondissement. The menu probably hasn’t changed either. It’s not the finest food you’ll ever taste, but it’s really not bad either. Quite good for what is effectively a 100-year old fast food restaurant! (They claim to have served 50 million meals!) And the prices are surprisingly reasonable. A 3-course dinner might only cost you 20 euros. 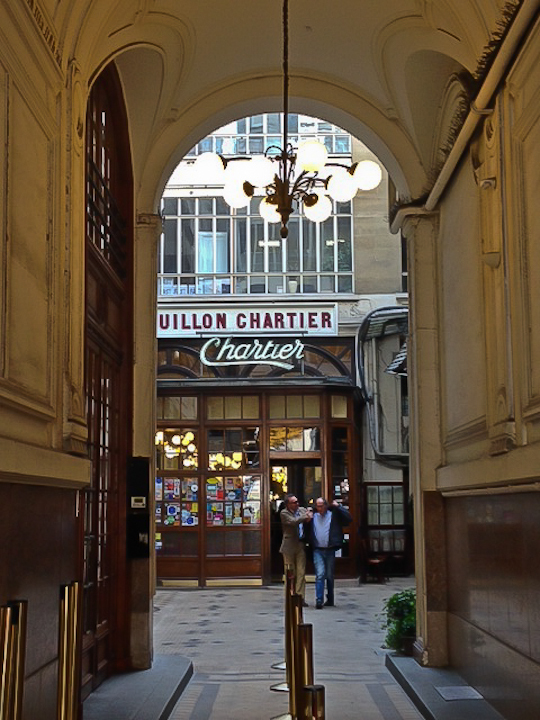 Although there is a certain element of “tourist site” to this venue, and for good reason, Bouillon Chartier is still frequented by locals as well. The energy in the room is palpable. 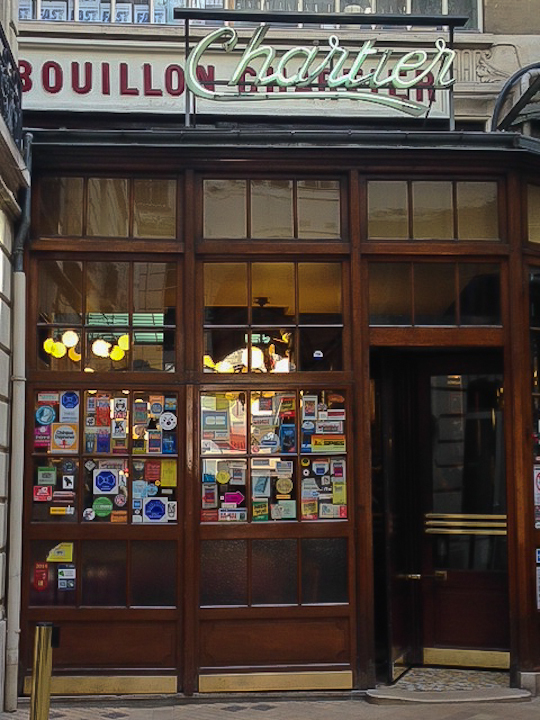 Bouillon Chartier is not the only “bouillon” in Paris. The word, meaning bouillon or broth in English refers to the single-dish plus broth served up at these eateries in their early days, when they were established to feed lunch to workers en masse. You can read more about these famous restaurants on the website of another of my favorite bouillons, Bouillon Racine in the 6th arrondissement. Bouillon Racine, more recently renovated, is a bit more upscale than Bouillon Chartier in terms of decor and gastronomy, and also a bit pricier. They offer very different experiences, but both are well worth a visit.